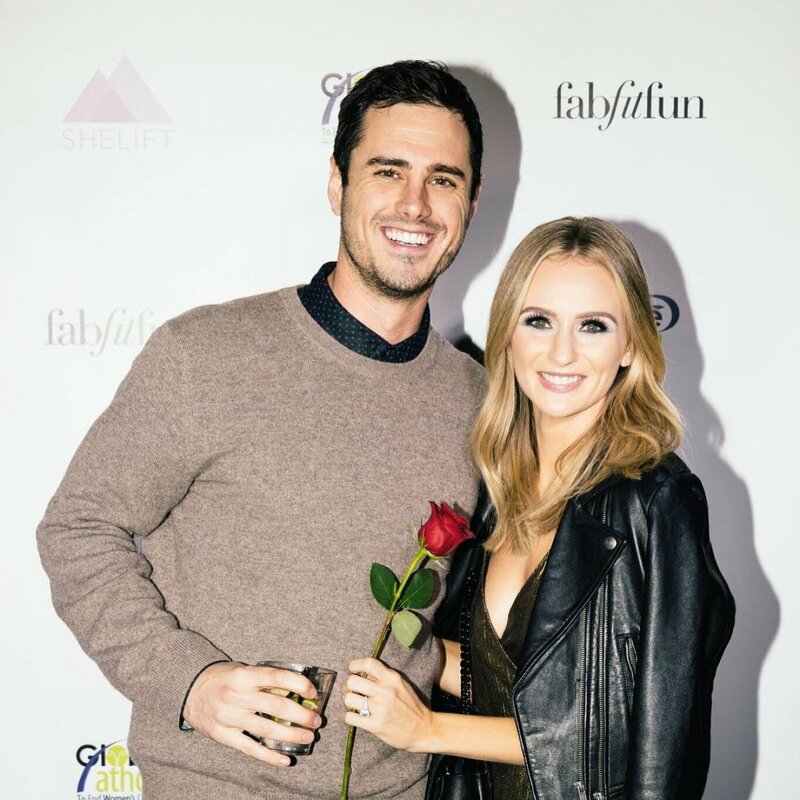 The Bachelor star Ben Higgins may be open to reconciling with his ex-fiancee, Lauren Bushnell, as long as she'd be interested in getting back together. Ben talked to reporters at a PingPong4Purpose event at Dodger Stadium on Thursday and was asked whether he'd be open to rekindling his romance with Lauren given she just split from her boyfriend of more than one year, Devin Antin. "Well, you've got to talk to her!" Ben said, according to People. Ben's response suggests the ball is in Lauren's court, meaning it would be up to her. Ben starred on Season 20 of The Bachelor in 2016 and ended up proposing marriage to Lauren during the March finale. It was widely believed Ben had nothing but the best of intentions during his season, and the couple really seemed to be in love with each other. But after more than one year together and starring in a spinoff, Freeform's Ben & Lauren: Happily Ever After?, the couple announced their split and decision to end their engagement in May 2017. Lauren told People in June 2017 their breakup mainly came down to compatibility but there was no blowout fight or bad blood between them. While it took quite a while for Ben to get over the split and find himself ready to date again, Lauren moved on within a couple of months by getting romantically involved with Devin, whom she had met on Tinder prior to appearing on The Bachelor. Lauren met up with Devin as friends once she moved out of Ben's home in Denver, CO, and returned to her family and friends in Los Angeles, CA. What began as a spark then quickly evolved into a relationship. Multiple sources informed several media outlets last week Lauren and Devin's relationship is over. An insider told E! News that Lauren and Devin were "on and off for a couple of months" before deciding to split once and for all. "It's hard for Lauren right now because she really loves Devin, but it just was not working and they ultimately decided to split up," the insider added at the time. Ben reportedly said while it's "so cliche to say" he wants Lauren to be "happy" after her recent split, he really means it. Ben also revealed that he's not exactly dating due to his work commitments but he's "interested" and "open" to dating again. Ben's name has recently been tossed into the mix for The Bachelor's upcoming Season 23 star. Host Chris Harrison, in fact, said he would absolutely love for Ben to come back and find love on the ABC reality series again.